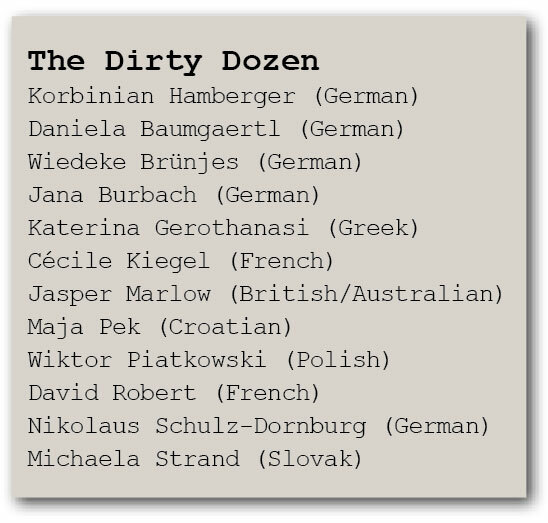 As well as a popular 1967 war movie, the Dirty Dozen is a 12-strong collective of up-and-coming drama writers from Europe who came through the second-edition Serial Eyes, a post-graduate TV drama course run by the German Film and Television Academy (and partnered with the London Film School and National Film School of Denmark). Working together and in writers’ rooms as part of Serial Eyes, the students realised that, when it comes to drama, the whole is often greater than the sum of its parts. That is why they have formed a collective of scripted scribes and producers, with each working on solo projects but also coming together as required to workshop ideas and form US-style writers’ rooms. A loose collective, the members come together as necessary on a project-by-project basis. 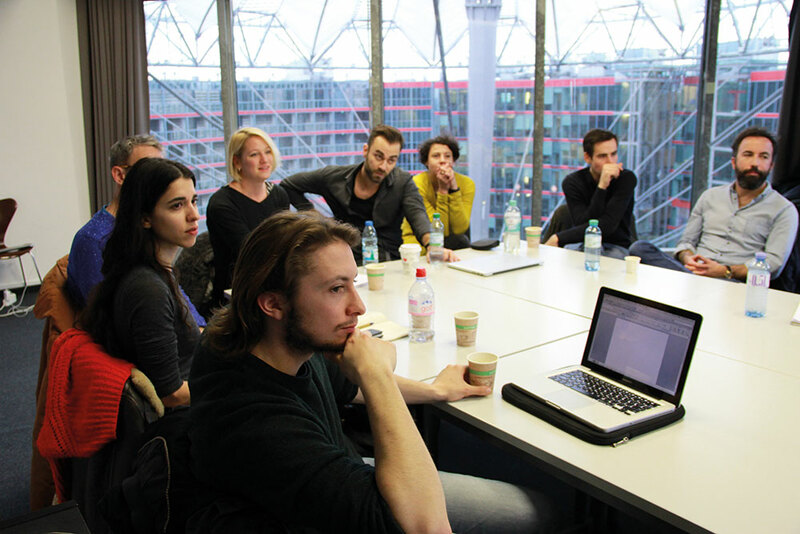 Berlin is where they studied and met, and the German capital city is a focal point for the activity of the Dozen. But there are also representatives from France, Croatia, Greece, Poland, Slovakia and the UK. While the Serial Eyes grads are up-and-comers, they are not new to TV (the course is specifically for writers with some experience). Hamberger, for example, was a staff writer on German soap Dahoam is Dahoam, while Wiktor Piatkowski is one of the creators of HBO Poland’s first original drama, Wataha. Several others have notable TV, film and theatre credits. 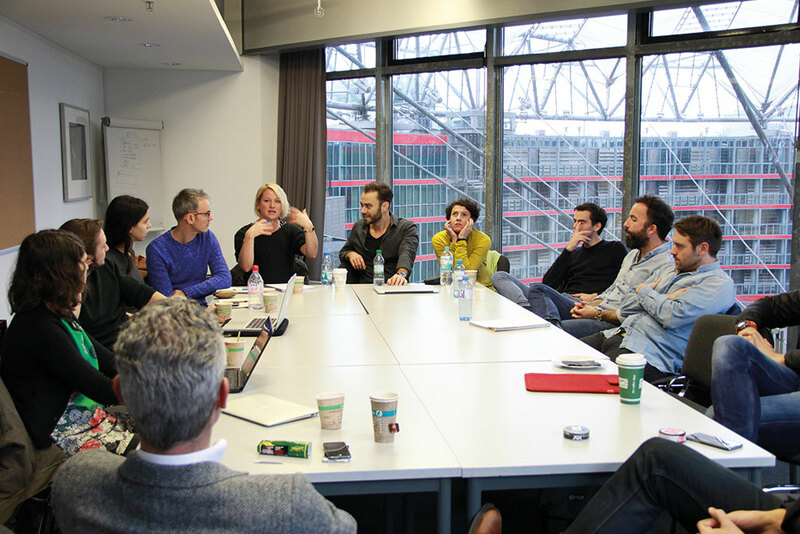 The Dirty Dozen held a networking event during the recent Berlinale International Film Festival and are building a profile in the drama business as they look to get in on domestic projects and copros. Hamberger personally is also keen to continue working in the fast-evolving German market, in which Amazon Prime Instant Video, Netflix and Sky are all now commissioning. He is working on a post-war crime series, The Constable. He also has a drama-comedy that has made it through an open-submission process at ProSiebenSat.1, with the next stage delivering a bible and pilot script to the terrestrial German broadcaster. 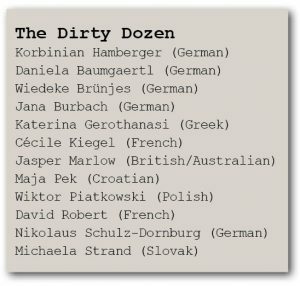 As with their movie namesakes, the Dozen were trained by a grizzled bunch of experts, but where their celluloid equivalents had Lee Marvin and Ernest Borgnine giving the orders, the TV writers were licked into shape by showrunners including Frank Spotnitz (Man in the High Castle), Jimmy Desmarais (The Returned) and Tom Fontana (Oz). The projects they have worked on so far include Anamnese, which is with German prodco H&V Entertainment and involves collective members Jana Burbach and Nikolaus Schulz-Dornburg. Elsewhere, utilising four of the 12 – Katerina Gerothanasi, Jasper Marlow, Daniela Baumgaertl and Nikolaus Schulz-Dornburg – there is eight-part comedy drama Aristocrats, which is about a well-off ruling family. There is also politically incorrect end-of-the-world comedy Plan B, from Cécile Kiegel, Baumgaertl and Michaela Strand, and procedural period drama The Witch Hunter. The Dirty Dozen are, then, guns for hire – writers’ room mercenaries – and with a healthy slate of projects under way, look set for many more missions.